Studies revealed that there are more than 25 million Americans that suffer heartburn symptoms every day, and more that 60 millions experience heartburn at least once a month. Nowadays there exist many heartburn medicines to choose from, and also, there appeared a natural product that relieves heartburn pain. That product is made from fresh orange peels, it is an orange peel extract, which has no side effects, and works efficient and safe. The stomach is producing a fluid that contain an enzyme called pepsin, hydrochloric acid, and sometimes bile. Stomach fluid has a role in helping the digestion, and, the hydrochloric acid that is contained in the fluid helps with vitamin and nutrient absorption, and also prevents bacteria from growing in the stomach and intestines. The stomach has a special lining, that is protecting it from the acid, and from other fluids. The lower esophageal sphincter, which is a circular band of muscle is using pressure to open and close, and in this way is allowing the food that travels from the mouth down through the esophagus to enter the stomach. After the food reaches the stomach, the lower esophageal sphincter narrows and closes, to prevent it from going back up the esophagus. Sometimes, the lower esophageal sphincter opens at the wrong time and that is causing the stomach fluid to enter the esophagus. Because the esophagus does not have a special lining to protect it from the hydrochloric acid, a burning pain will result. It is known that heartburn and ulcers are in the same family of acid-related maladies, but usually, ulcers are caused by bacterial infection of the stomach, chronic use of aspirin or other nonsteroidal anti-inflammatory drugs. Both diseases can be aggravated by some factors, both show symptoms, and they can cause serious problems if you don’t treat them. We can say a person has gastroesophageal reflux disease if persistent heartburn is present two or more days a week. This can become a grave problem in time, because the stomach liquid can destroy the delicate esophagus lining. Gastroesophageal reflux disease can provoke the apparition of other diseases too, like pneumonia, asthma, chronic cough, hoarseness, or increased risks for esophageal cancer and Barrett’s esophagus condition. There are a lot of factors that can provoke the appearance of heartburn. Large meals are not good, because they may force the stomach liquid to come into the esophagus, lying down after eating is also not recommended. Foods like chocolate, tomatoes, garlic, black pepper, vinegar, citrus fruits or spicy foods can make the lower esophageal sphincter to relax and open, and in that way, stomach liquid will enter the esophagus. Heartburn often appears to overweight persons, because abdominal fat leads to a higher pressure in the abdomen. Higher pressure in the abdomen also can appear to pregnant women, and there are more than 25% of the pregnant women who experience heartburn sometime during pregnancy. It is known that people with hiatal hernias have often problems with heartburn. This hernia allows foods and stomach fluid to travel back into the esophagus. Usually, medications that are used to treat heartburn have serious side-effects. Antacids can make the stomach to become more vulnerable to food poisoning, for example, a potentially fatal bacteria found in raw shellfish that is normally neutralized by stomach juices can live up to 2 hours in presence of antacids. That has as a result the apparition of diarrhea, stomach cramps and severe vomiting. Antacids can also interact with other medications, or prevent their absorption. Some of the medications affected by antacids are benzodiazepines, chloroquine, allopurinol, aspirin, corticosteroids, phenytoin type drugs, diabetic medicines, ticlopidine, tetracycline, thyroid and ulcer medications. Proton pump inhibitors have as an effect that they reduce stomach’s ability to produce acid almost completely. H2-receptor blockers act in decreasing hydrochloric acid production, and as a negative aspect is the fact that B12 and calcium absorption from food can no longer take place. There are other medications too, like Nexium, Prevacid, and Prilosec, which are safe it they are being used short periods, but the long-term consequences are not known. In stead, the orange peel extract is a safe and has results. There are a few theories about how this extract acts. It is believed that it helps the food to stay in the esophagus just as long it is needed, the food is moving to the stomach efficiently. 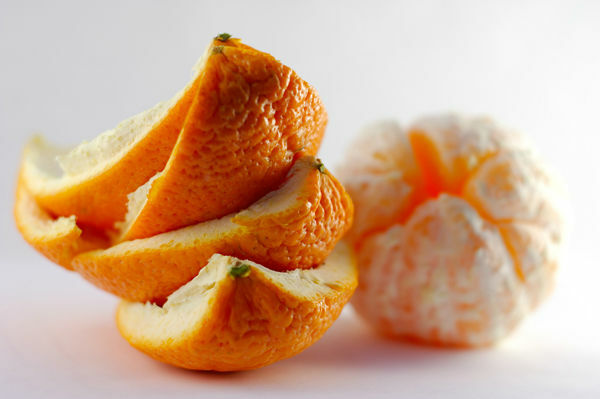 Orange peel extract may also decrease the potential for the fluid to come into the esophagus, working as a surfactant substance. It is recommended the dose of 1,000 mg of orange peel extract/day, for 20 days, because that was the amount used in the studies. 20 days of taking orange peel extract, most of the patients experienced no heartburn, and some people experienced mild heartburn after they started consuming foods that they avoided before. The orange peel extract is a natural product, but you should follow the dosages on the label, and it is known that some people must avoid this extract. You shouldn’t take orange peel extract if you are pregnant, if you have or you are suspect of ulcer, and also children shouldn’t be given this extract because not all age- groups clinical tests have been finished. It was discovered that the orange peel extract has a pronounced cancer preventative activity. No toxicities were found in any of the patients that used this extract, analysis of the blood levels revealed that it was well absorbed, and it is also known that this extract inhibits the way cancer cells divide and grow. Persistent heartburn can lead to complications, that is why it is important to go to the doctor if you have symptoms like painful swallowing, severe hoarseness or wheezing, vomiting for more than three days. There can come also other symptoms, which are associated to other grave diseases, that’s why you must contact the doctor at once. Some of that symptoms are: extreme stomach discomfort, vomiting of bloody or black material, black or bloody bowel movements. Heartburn is a serious problem that affects many people, but there are treatments, and now, a safe and effective option of treatment appeared – orange peel extract . Next articleWatermelon Obsession: Unlock the Key to Health! Hey Buddy!, I found this information for you: "The Orange Peel Extract – a Safe and Effective Heartburn Treatment". Here is the website link: https://www.thealternativedaily.com/the-orange-peel-extract-a-safe-and-effective-heartburn-treatment/. Thank you.